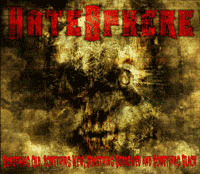 Hatesphere is a death/thrash metal band from Aarhus, Denmark. The group consists of Jacob Bredahl on vocals, Peter Lyse Hansen and Henrik Bastrup Jacobsen on guitars, Mixen Lindberg on bass and Dennis Buhl on drums. As of september 17 lead vocalist Jacob Bredahl and Hatesphere have parted their ways. The group formed in 1993 originally under the the name Cauterized then Necrosis but after their demos they changed the name to Hatesphere. 2001 was the year where a dark and aggressive sphere began to expand from the high north! This was the year where the self-entitled debut from Danish agro thrashers Hatesphere was released upon the world. The unique mix of aggression, groove and melody quickly established Hatesphere as the leading act in Danish metal. 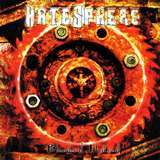 In 2002 Hatesphere entered the Jailhouse studio to record their 2. album "Bloodred Hatred" which showed the band from a faster and more melodic edge with blistering guitar solos and a wide range of vocal abuse! The band was clearly drawn towards a more complex, aggressive and catchy thrash metal approach compared to the debut. "Bloodred Hatred" won the Danish Metal Award 2002 for "Best Album". After a massive amount of concerts and tours around Europe with bands as The Haunted, Testament, Mnemic and Mastodon, Hatesphere once again entered studio to record a mini cd with the remarkable title "Something Old, Something New, Something Borrowed and Something Black". Again, lots of concerts were played, and on stage the band showed a high-energy performance that blew away both audience and press. 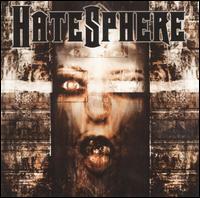 In 2003 Hatesphere won the title as "Best Live Band" in the Danish Metal Awards. 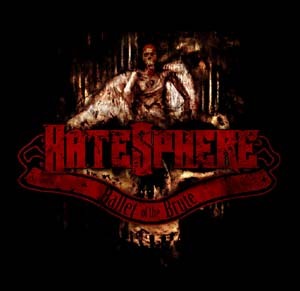 2004 Hatesphere once again entered the Jailhouse studio to record their 3rd album called "Ballet Of The Brute". 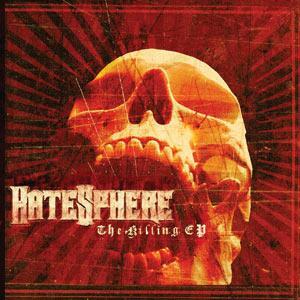 Once again, the sphere gained another layer, as the record turned out to be a lot more aggressive and straight-in-your-face brutal than the earlier albums - but still with the significant touch of melody and groove that represents the Hatesphere sound. During those 5 months, Hatesphere choose to tour for 3 months with Kreator, Dark Tranquility and the mighty Morbid Angel, and then take 2 intensive months to write the new thrash powerhouse – “The Sickness Within”. Intense must be the best word to describe this process, and the album clearly portraits a band that works best under stress, as the result is 11 tracks of over-the-top thrash metal anno 2005! With the release of “The Sickness Within” in September through their new label SPV/Steamhammer, Hatesphere set new standards in modern-thrash. The metal community in their home country not only pushed them into the album charts the first week it hit stores, but also awarded them “Album of the Year” and “Best Production” at the 2005 Danish Metal Awards!!!! 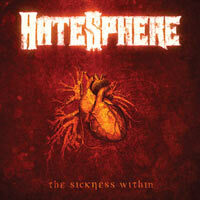 Hatesphere and “The Sickness Within” were nominated in five catagories, and won the two most important! In late 2007 the front man Jacob Bredahl, and the rest of HateSphere decided that Jacob shouldn't be the singer of the band anymore. Jacob has later said that his leaving was due to losing the "fire" for HateSphere.